Photo by Amy Phelps Susan Sheppard stands in the Blennerhassett Hotel, the first stop on the Haunted Parkersburg Tour. 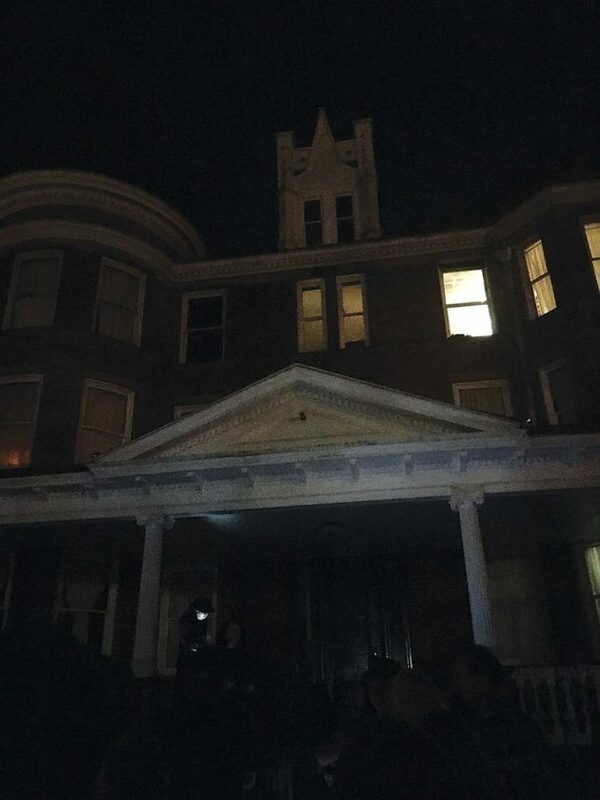 Photo by Amy Phelps The Haunted Parkersburg Tour stops at the VanWinkle mansion, the only light on in the house was the single pane in the middle left. What are all those other lights in the picture? 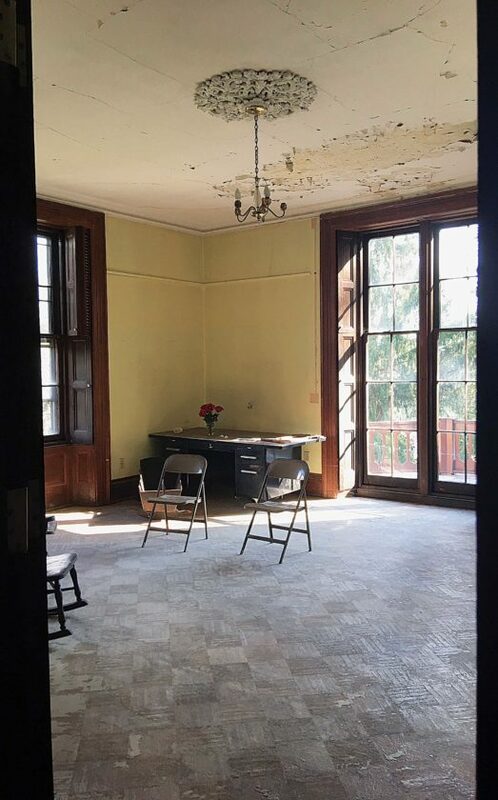 Photo by Amy Phelps The Anchorage is available for tours with Hidden Marietta. Photo by Amy Phelps Melissa “Viva” Farris and Kat Watkins stand in the hallway of The Anchorage. 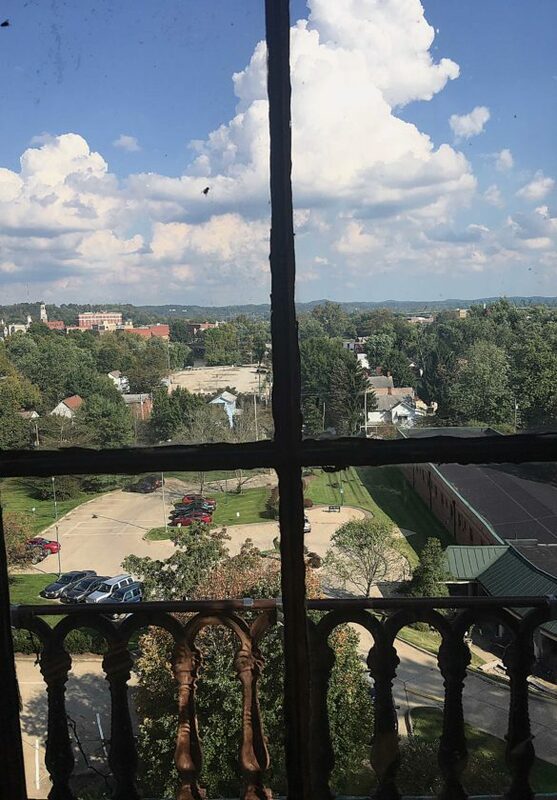 Photo by Amy Phelps A view of Marietta from atop the tower in the Anchorage. Photo by Amy Phelps Susan Sheppard tells a story outside the carriage house. Photo by Amy Phelps Eliza’s room is one of the many purportedly haunted rooms in the Anchorage. 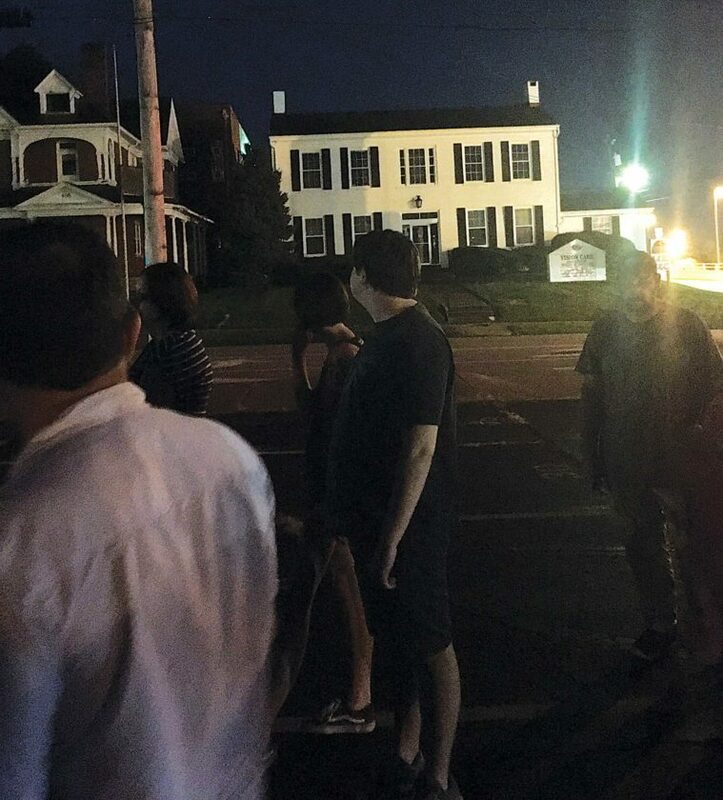 Photo by Amy Phelps The Haunted Parkersburg Tour passes by a building that was a Civil War hospital, where ghosts are said to haunt. Photo by Amy Phelps A group prepares for the Haunted Parkersburg Tour led by Susan Sheppard, center. Photo by Amy Phelps One of the rooms in the Anchorage has been refurbished to look like it would have during the time period. Photo by Amy Phelps A historic apothecary cabinet is housed in the Anchorage. 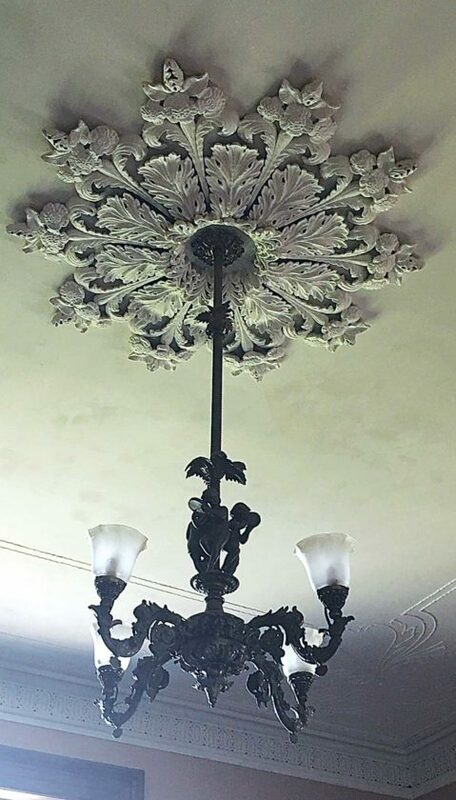 Photo by Amy Phelps Several rooms in the house have ornate chandeliers. 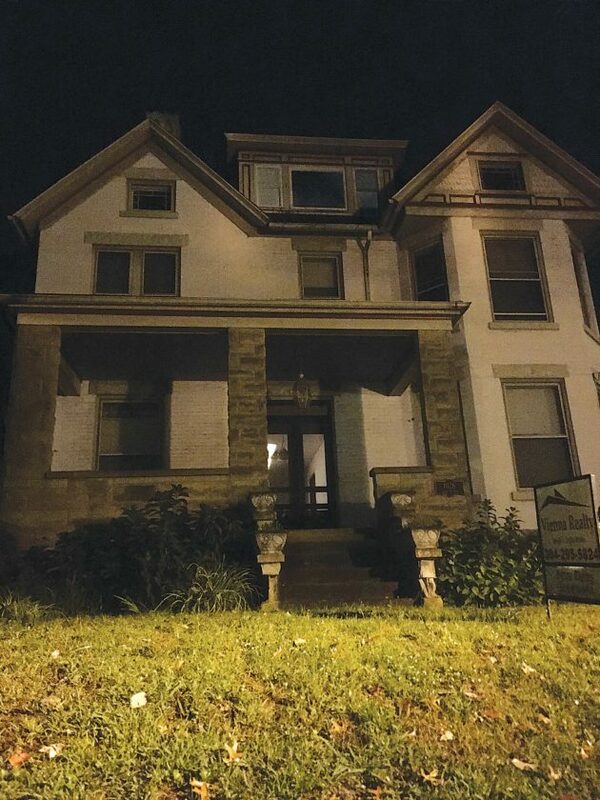 Photo by Amy Phelps This house on Ann Street in Parkersburg is said to be haunted by the spirit of a little girl who died there. Photo by Amy Phelps Members of the tour look into a cemetery. 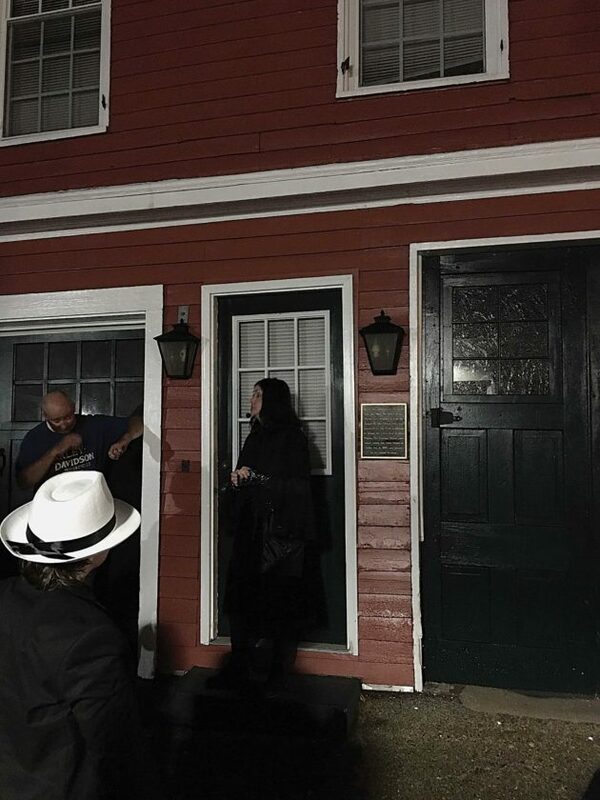 Photo by Amy Phelps The Captain’s house on Juliana Street. Slight movement when the photo was taken caused blurs, or what it ghosts? 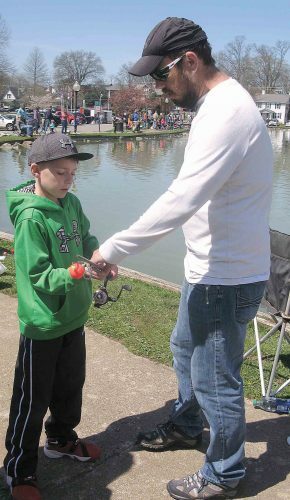 PARKERSBURG — October brings Halloween and seasonal scares for the Mid-Ohio Valley. 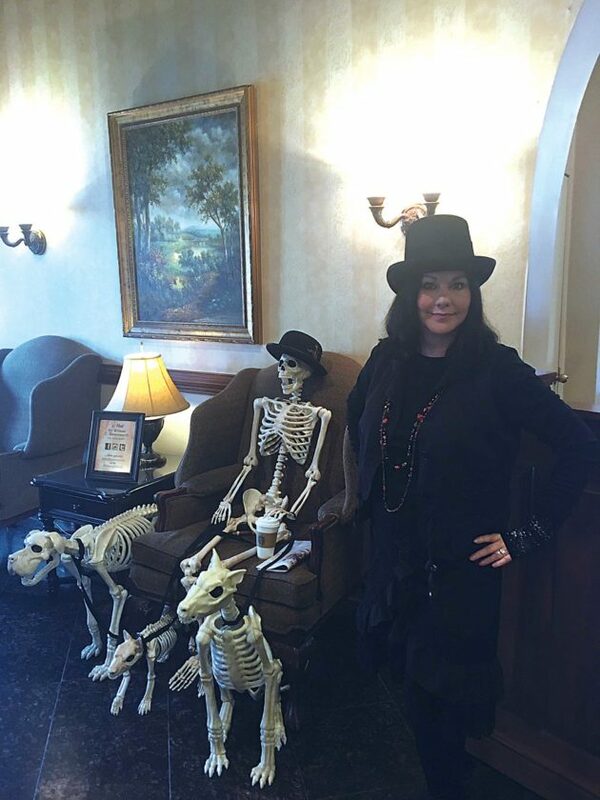 Susan Sheppard has operated Haunted Parkersburg Ghost Tours for 22 years. “I’ve always loved the paranormal, ghosts and Halloween,” she said. 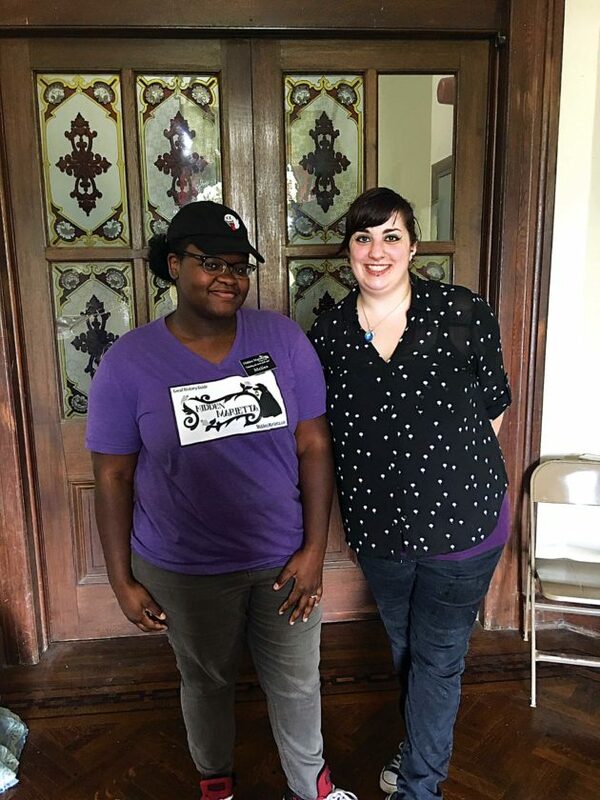 The inspiration for the local tours came after a visit to New Orleans for a writer’s conference, she said. 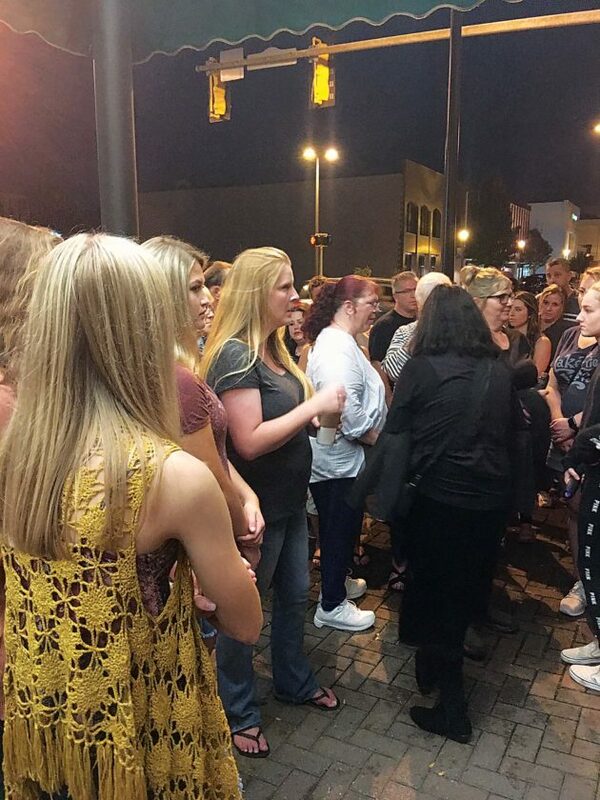 “I saw the ghost tours there and thought this was something we could do in Parkersburg on a seasonal basis,” Sheppard said. The Ghost Tours run 7:30 p.m. Saturdays in Parkersburg and last about 2 hours. A second tour has been added at 7:30 p.m. Fridays, the True Crime Tour. “It is a vintage tour, no crimes after 1980,” Sheppard said. A focus on the tour is serial killer Joseph Eisele, who murdered several people in downtown Parkersburg, as well as a man in Wheeling and several others in his native Germany. Eisele was caught at his house near the Catholic church and was hanged in Dils Cemetery. Local and state history also is part of the ghost hunt. “We visit the (Sen. Peter) Van Winkle mansion,” Sheppard said, noting that Joseph H. Diss Debar, who designed the state seal, haunts it. Van Winkle also corresponded with Edgar Allen Poe. 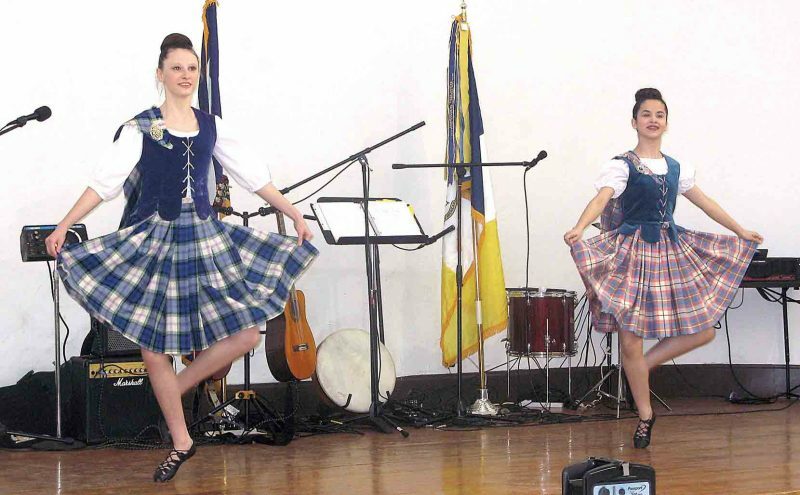 While local historians have helped Sheppard with research for the places on the tour, Sheppard said she also has stumbled upon several places while doing online research. “The stories on the tour evolve from year to year,” she said. Sheppard noted with the addition of the True Crime tour, she is revitalizing the tour for locals, as well as for the out-of-towners who visit. 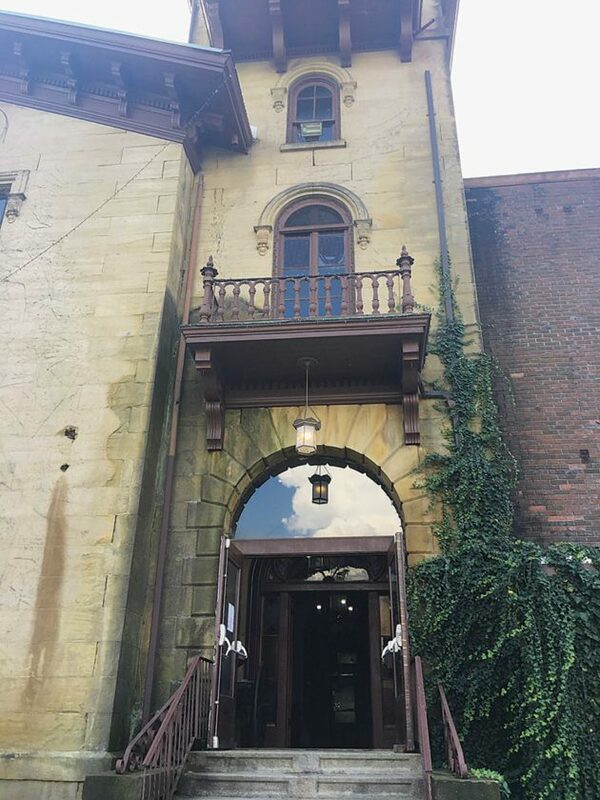 The tours kick off at the Blennerhassett Hotel, which has a haunted history of its own. “It’s on a bunch of top 10 lists,” for paranormal activity, she said. William Chancellor, who built the hotel, haunts it and she has seen him there. Perhaps he wants to check up on his place and make sure work is being done, Sheppard said. Even Mothman, the West Virginia cryptoid, is mentioned on the tour, with the Partridge sighting in which a family saw his red eyes near their barn and a dog went missing. 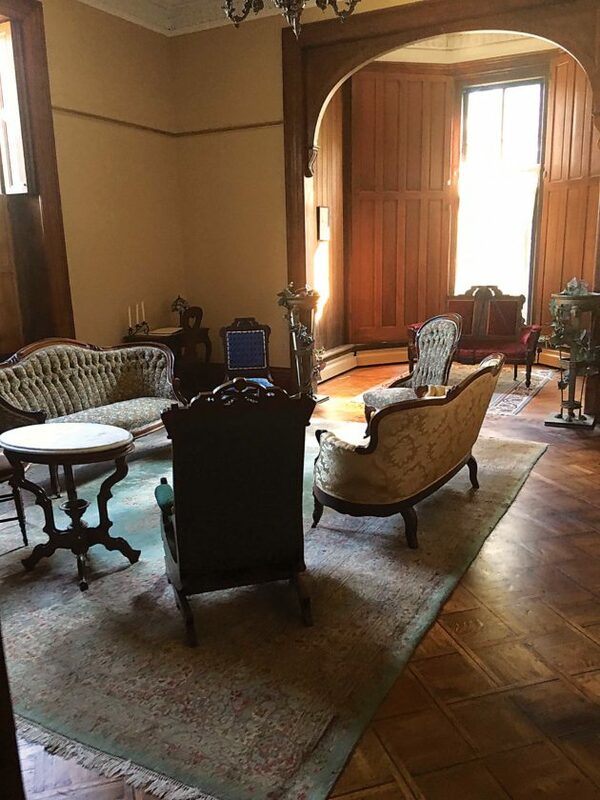 While Sheppard cautions that seeing a ghost on the tour is rare, she has had people take photos with orbs, mists and even reflections in windows, and a few have seen apparitions, been touched or have experienced strange odors while on the tour. 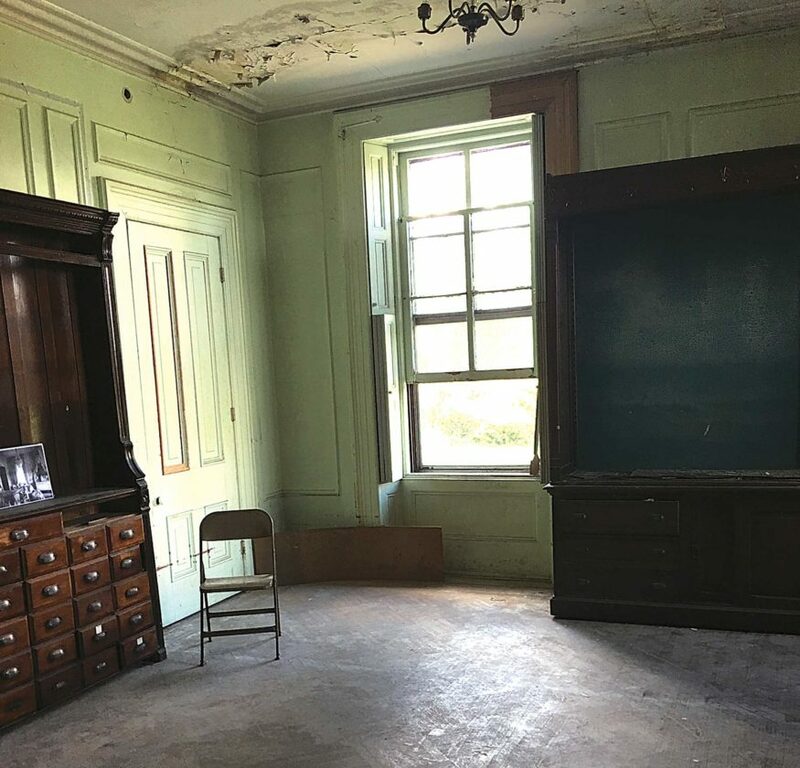 As to why some of the places on the tour are haunted, Sheppard said some are areas of high emotion, carry a memory for the deceased of where negative energy lingers. The tour has 8-10 stops in Parkersburg and around a dozen stories told. Sheppard said one of the stops on the True Crimes tour is at Sheetz, which is supplying tour participants with a free drink. For those interested in history, Sheppard recommends the tours. More information can be found at hauntedparkersburgtours.com. In Marietta, visitors can tour the historic and haunted Anchorage, as well as take part in two ghost walks, the Front Street Ghost Trek, which runs 8 p.m. Fridays and Sundays starting at the Layfayette Hotel and the Putnam Street Ghost Trek, which runs 8 p.m. Thursdays and Saturdays starting at the Washington County Courthouse. Both tours last about 1 1/2 hours. Tours of the Anchorage are held 6:30 p.m. and 8:30 p.m. Fridays and 11 a.m., 1 p.m., 4 p.m. and 6 p.m. Saturdays through the end of October. The tours usually run about an hour. Melissa “Viva” Farris and Kat Watkins both conduct Anchorage tours as well as the Ghost Trek. Farris has been with Hidden Marietta for two years and Watkins has been there for three years. 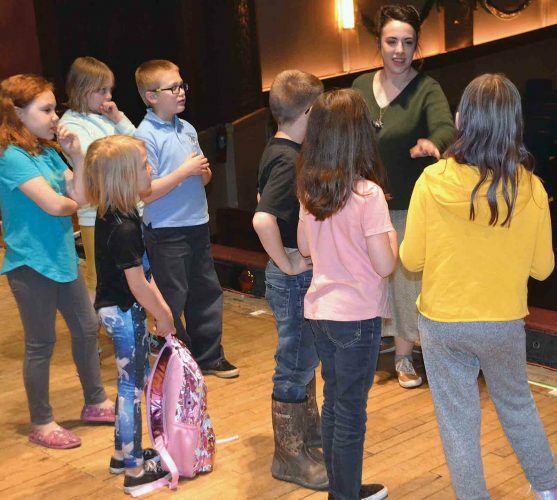 While the group works with the Marietta Historical Society and the Marietta College genealogy department for ideas for the stories on the tours, the group does most of its own research, Farris said. Workers investigate a lot of the Anchorage themselves, she said. 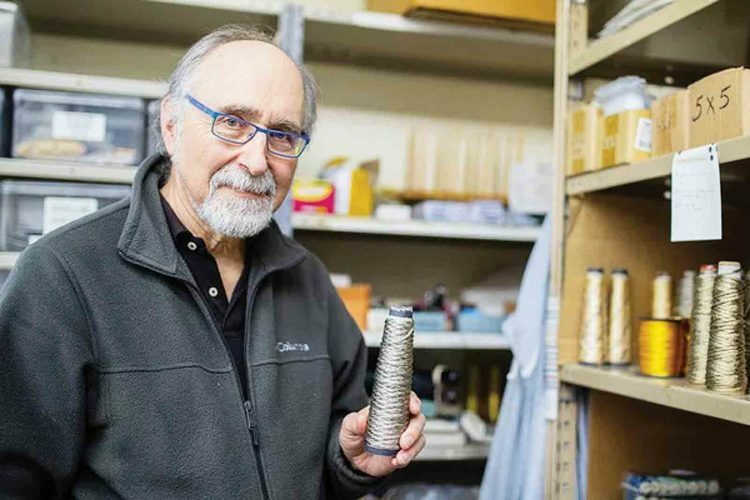 “We have had a lot of experiences,” she said. This helps keeps the tours fresh and stories are always changing. Both locals and tourists have participated in the walks and the Anchorage tours, including all the way from Canada. “When we have tourists, we talk about the Lafayette and some of the local business that have (paranormal) activity,” Farris said. Visitors at the Anchorage and Lafayette have had experiences of hearing voices, footsteps and getting their hair pulled. Farris said it also doesn’t matter what time of day the tour is. “We just had a woman get her hair pulled and she was really shook,” she said, stating that the tour was during the daylight hours. Both Farris and Watkins recommend those interested in history to visit them. “We blend history and the paranormal. We love this town,” Watkins said. More information can be found at hiddenmarietta.com. Both meet at Blennerhassett lobby at 7:30 p.m.